Jussie Smollett’s defense attorney Mark Geragos has slammed the city of Chicago’s pending civil suit against the “Empire” star demanding he repay the city $130,000 — the cost of the police investigation into the incident he reported as an alleged hate crime. 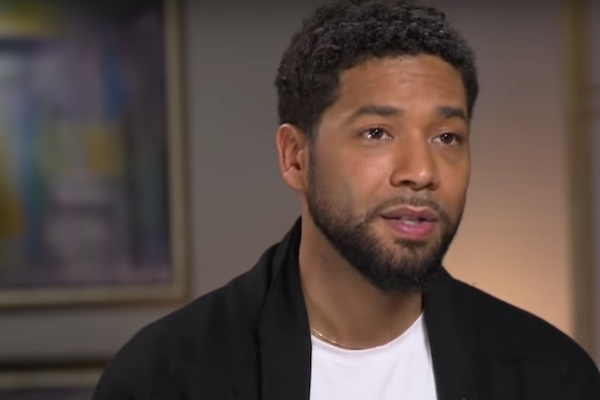 Smollett claimed that he was physically attacked around 2:30 a.m. on Jan. 29 by two men who hurled homophobic and racist slurs at him including the phrase ‘MAGA country,” a reference to Donald Trump’s presidential campaign slogan. After initially investigating the incident as a hate crime, Chicago police say their investigation uncovered that Smollett paid brothers Olabinjo (“Ola”) and Abimbola (“Abel”) Osundairo to stage the attack. Smollett was indicted on 16 felony counts of filing a false police report. However, Chicago prosecutors dropped the charges against Smollett and the judge sealed the case file. The actor has said he is innocent throughout the investigation. Geragos went on that if the city moves forward with the suit that Smollett’s legal team will request the case files and sworn depositions of Mayor Rahm Emanuel, Police Superintendent Eddie Johnson and the Osundairo brothers.